Do you dream of standing under a large rain shower? 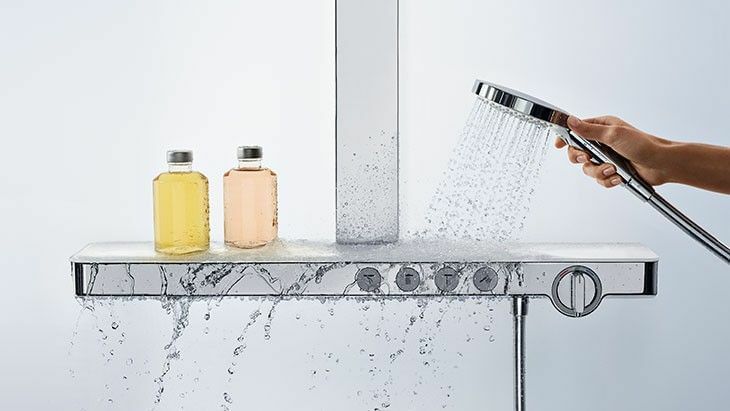 It is amazingly easy to incorporate a Hansgrohe overhead shower into your bathroom – with no elaborate refitting, and you can even do it retrospectively. 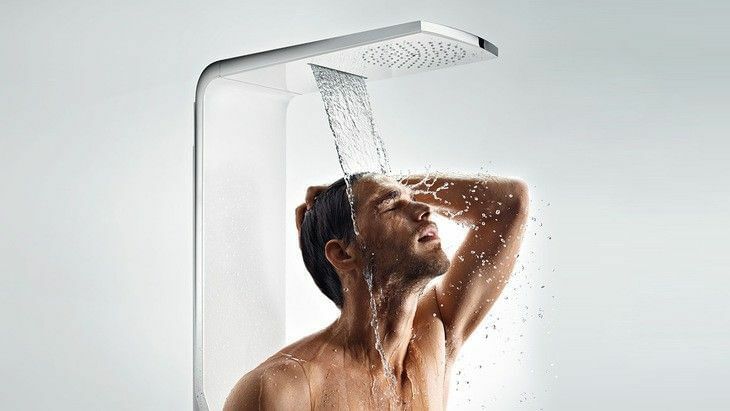 “Showerpipe” is the solution. It consists of an overhead shower plus hand shower with mixer. Or “shower panel”; i.e. an already pre-assembled shower system. The Select technology makes Hansgrohe showerpipes truly impressive. We have practically unlimited resources for you to choose from in terms of comfort, design and enjoyment. Everything is controlled at the simple touch of a button.